Dr. Minotti is specialty trained in Neuromusculoskeletal Medicine and Osteopathic Manipulative Medicine. His primary focus is Regenerative Orthopedics, nonsurgical procedures designed to accelerate regeneration of cells in healing of acute and chronic musculoskeletal injuries. Dr. Minotti has spent the past 17 years finding new and better ways to treat the human body. He believes that health care is no longer merely the treatment of disease. We all want to live longer, live better and live healthier. We no longer want medications that treat pain but mask injury, procedures that cut and sew. As scientists learn more about the physiology of how our bodies heal, health care is able to use this information to find new and better treatments. Devoted to offering patients the best possible options for their musculoskeletal conditions, Dr. Minotti continues to explore orthobiologic cell-based treatments through participation with the Interventional Orthopedics Foundation, a leader in physician training for Regenerative Medicine, and the Regenerative Medicine Institute. The body's innate ability to heal is a key philosophical tenet in Osteopathic Medicine. Dr. Minotti believes that Regenerative Orthopedics combines the body's natural healing process with cutting edge science to maximize what the body does naturally... heal through the process of regeneration. Regenerative Orthopedics is radically changing the way musculoskeletal conditions are treated, helping bodies mend themselves to provide cures for people who have been living — until now — without treatment options. 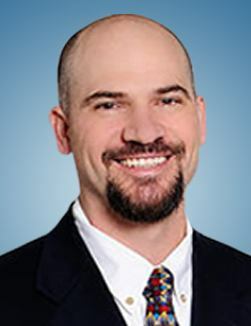 In addition to private practice at North Texas Musculoskeletal Medicine, a practice he founded in 2008, Dr. Minotti is currently an Adjunct Professor at the University of North Texas Health Science Center in Fort Worth. Dr. Minotti maintains a particular interest in sports health. In his youth, he earned a black belt in taekwondo at age 12 and was a point guard on his high school basketball team. Golf remains one of his favorite pastimes. June 2005: Doctor of Osteopathic Medicine, Ohio University College of Osteopathic Medicine, Athens, Ohio. June 2001: Bachelor of Science in Biological Sciences, Ohio University, Athens, Ohio. John C. Licciardone, DO, MS, MBA; Dennis E. Minotti, DO; Robert J. Gatchel, PhD; Cathleen M. Kearns, BA; Karan P. Singh, PhD. Treatment and Ultrasound Therapy for Chronic Low Back Pain: A Randomized Controlled Trial. Annals of Family Medicine. March/April 2013: Vol. 11, no. 10. Dennis Minotti, DO; John C. Licciardone, DO, MS, MBA; Cathleen Kearns, BA; and Robert J. Gatchel, PhD, ABPP. Osteopathic Medicine Approach to Pain Management. Practical Pain Management: September 2010: Vol. 10, no. 8. Robert J. Gatchel & Nancy D. Kishino & Dennis E. Minotti. The Three Major Components of Behavior Used for Assessing Pain: Problems Faced When There Is Discordance Among the Three. Psychol. Inj. and Law. 2010: 3:212-219. Colonvega, Makasha, Hensel, Kendi, Minotti II, Dennis, Williams, Stuart. A case report of Osteopathic Manipulative Treatment in a 14-year-old girl with McCune-Albright Syndrome. AAO Journal. September 2009: Vol. 19, no. 3, p. 21-24. Licciardone JC1, Kearns CM, Minotti DE. Outcomes of osteopathic manual treatment for chronic low back pain according to baseline pain severity: results from the Osteopathic Trial. 2013 Dec; 18 (6):533-40. doi: 10.1016/j.math.2013.05.006. Epub 2013 Jun 10. Licciardone JC1, Kearns CM, Hodge LM, Minotti DE. Osteopathic manual treatment in patients with diabetes mellitus and comorbid chronic low back pain: subgroup results from the OSTEOPATHIC Trial. J Am Osteopath Assoc. 2013 Jun; 113(6):468-78. Licciardone JC, Gatchel RJ, Kearns CM, Minotti DE. Depression, somatization, and somatic dysfunction in patients with nonspecific chronic low back pain: results from the OSTEOPATHIC Trial. J Am Osteopath Assoc. 2012 Dec; 112(12):783-91.